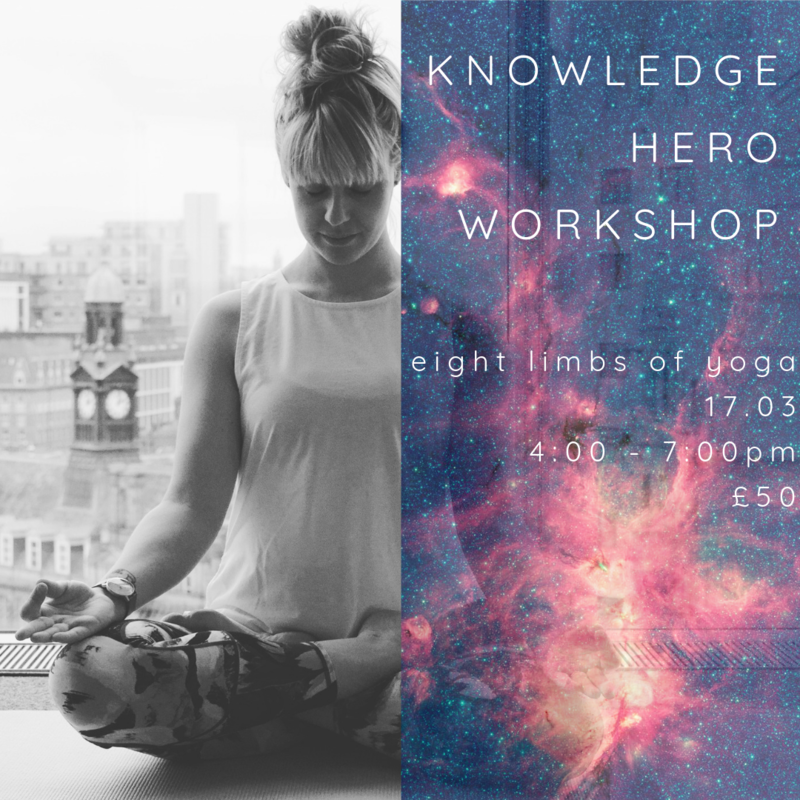 As part of Yoga Hero’s Further Training Course, this Knowledge Hero: The Eight Limbs of Ashtanga workshop takes the time to learn about the Eight Limbs of Yoga, sometimes known as the 8 steps to enlightenment. ‘Ashtanga Yoga’ is two things, which have the same name. You may be familiar with the Ashtanga Yoga Series: starting with sun salutations, moving on to standing then seated then supine poses and finishing with a delicious Savasana. But you may not be so familiar with Ashtanga Yoga as a way of life. This workshop is an introduction on Yoga Hero’s take on Ashtanga Philosophy, but with a pragmatic, simple approach to bringing the philosophy of yoga in to your life; both on and off the mat, and in to your teachings to others, if you’re a yoga teacher, or plan to be. Join this enlightening workshop to learn about the eight limbs of Ashtanga Yoga, and how they can help with any life situations you’re experiencing.